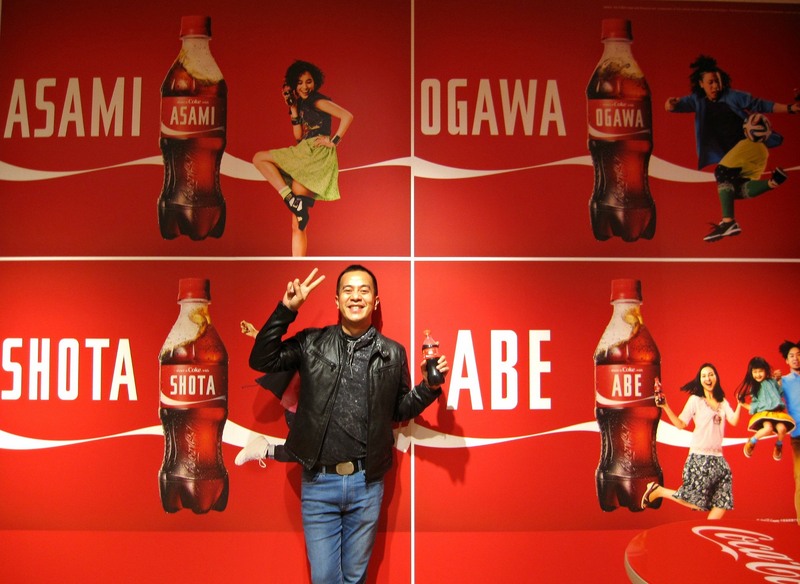 A lot of friends and colleagues who has been to Japan agrees that the taste of Coca-Cola seem different as compared to other parts of the world. And I do agree with this observation. For me regular Coke or Cola in this part of the planet seem lighter to the taste and smoother to the gullet. It is not disturbingly sweet and not unnerving to the tongue. I can actually drink a regular coke in this part of the world without the need for ice. 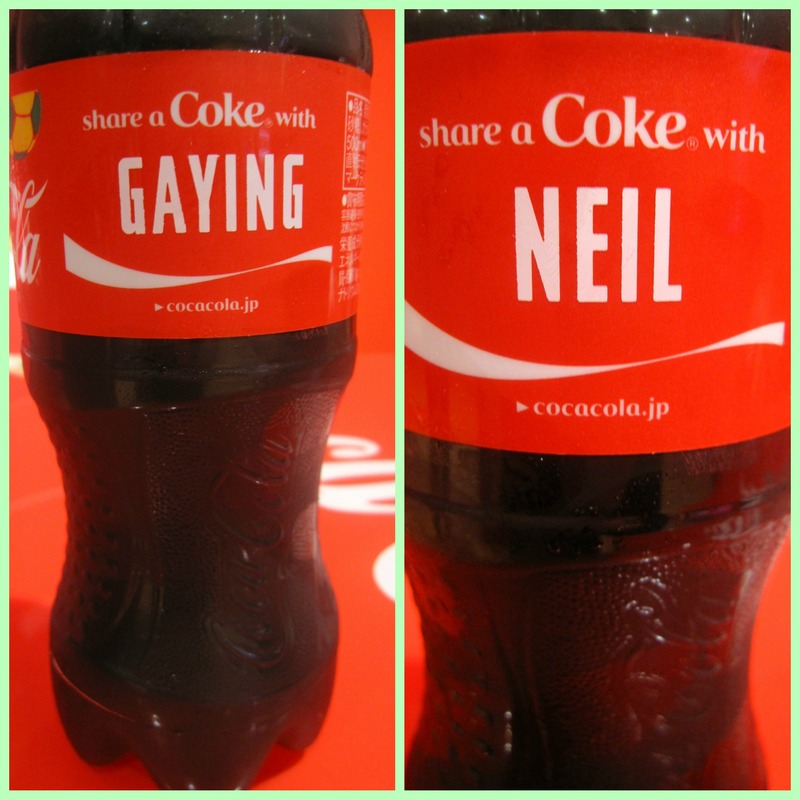 What is even more fun drinking Coke in Japan, particularly in Osaka is that you can actually have your bottle personalized. 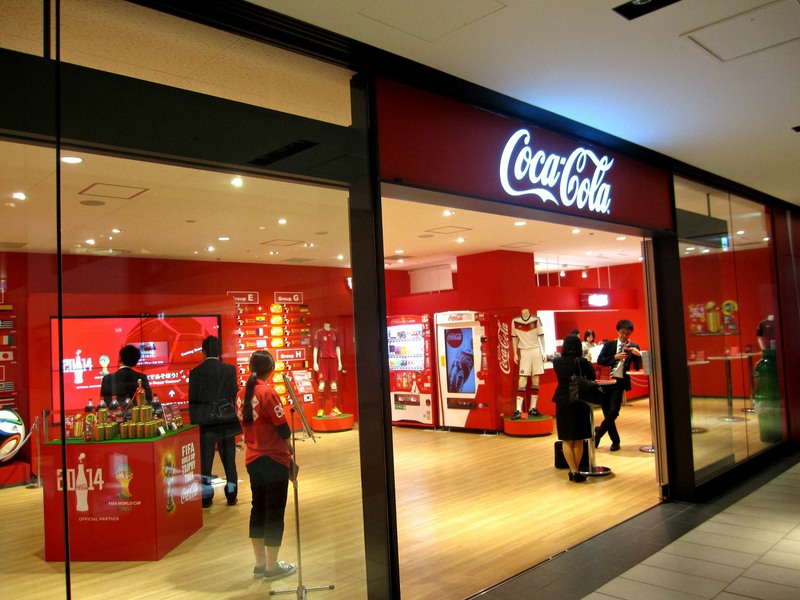 Located at Grand Pronto Mall, Osaka’s new mega-shopping town complex is a Coca-Cola store where you can have your name stamped on the bottle label for free. 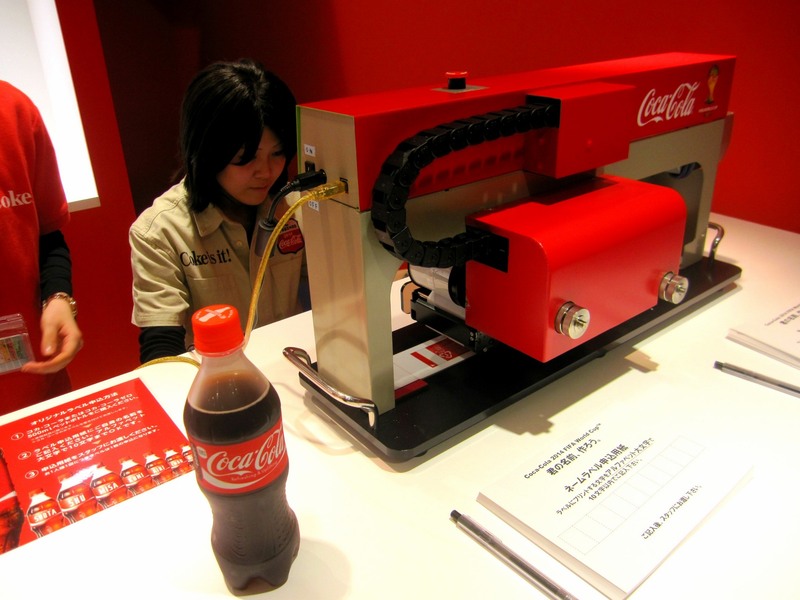 While my bottle was being stamped, I was imagining on top of a hill and wanted to sing the popular Coca-Cola jingle… I’d Like To Teach The World To Sing (a Perfect Harmony). My body had changed, my sensibilities changed, though to this day, I still drink Coke. 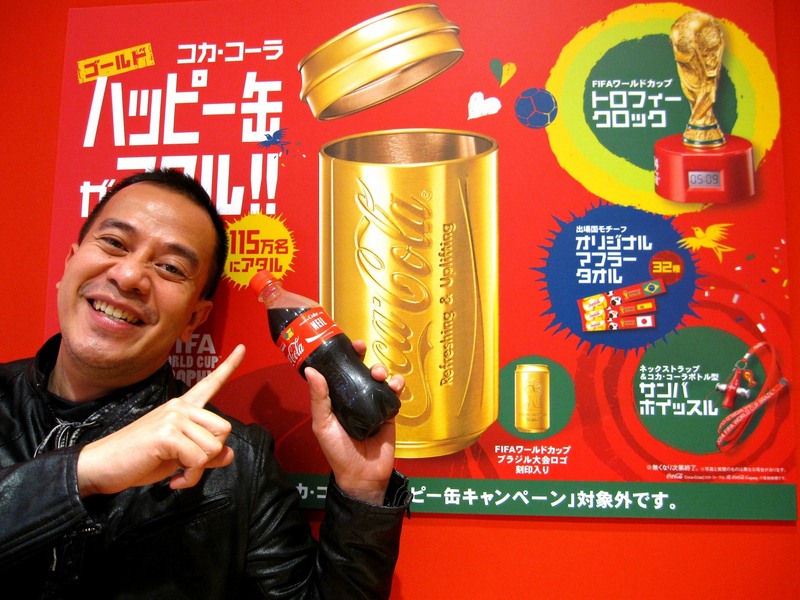 Admit it or not, but there are lots of chows, cuisines or simple sustenance best consumed with a bottle of Coca-Cola. I guess, no one is too old to drink this precarious drink. Its da ril ting… Inom na!